At first, it may seem like there isn’t much to baby-proof as your little one might still be only a few months old and hardly capable of climbing or crawling around. On average, babies start crawling at around eight months old, which means your baby could surprise you and start crawling even earlier. That’s why we recommend baby-proofing your home properly the first time, keeping the crawling and walking stages in mind too. A crawling baby soon starts pulling, grabbing and reaching. You are going to want to make sure that your home environment is a place where your baby can grow-up, and you can experience all the special moments without having to deal with accidents that could easily be prevented. Sharp knives, kettles, the stove – sometimes it feels best to keep your bub out of the kitchen altogether. But that’s not how life works. Some of the best family times are in the kitchen, cooking and talking and enjoying each other’s company. The key to keeping your little one safe in the kitchen is preparation, not avoidance. The all-around winner when it comes to keeping your baby safe in the kitchen will always be supervision. At times, however, it may feel like you can’t possibly keep an eye on your baby while you’re in the kitchen. Consider getting a play-pen nearby where your baby can still join in on the kitchen action, but you can keep an eye on them while they’re out of harm’s way. Get child-safe locks and latches: These bad-boys work wonders and can be surprisingly difficult to open, even for full-grown adults. These are great to install on all lower cabinets, especially those that contain cleaning detergents that might fall into the hands of your little one. Be sure to put latches on all the doors of other appliances in the kitchen, including the stove. It may also be worth considering knob covers on all the stove knobs, so there isn’t a chance of your little one turning on the burners. Be sure to check every now and again whether the latches are still effective. Toddlers especially, are persistent and constantly testing boundaries and limits. So, as soon as you think that your little one might have figured out how to open the locked snack cabinet, it might be time to store the more dangerous items a bit higher up. Remove the dangling dangers: If there is a cord in reach, your young one will pull on it. Make sure you keep appliances (especially their cords) away from hands tempted to tug on them. Store your breakables high: Lucky for adults; we have the advantage of height (for now). Be sure to store any breakables like glasses and dishes, high enough so your baby can’t reach them. This is Newton’s fourth law. If something breakable lands in the hands of your baby – it will break. Not only will you have to say goodbye to your favourite china, but the glass can also easily cut your baby’s soft skin. Pack knives away – always: There isn’t much debate or discussion about it. Although super handy in the kitchen, not so handy in the hands of a baby. Be sure to keep it high and out of reach. Double check where you place the knife while cooking, making sure your little one won’t be able to reach it. Have a designated baby drawer: The art of distraction, one of your many superpowers. Create a drawer filled with things that are safe for your baby to play with and investigate. This will keep their attention away from everything else in the kitchen. Those Tupperware bowls without lids – great! Big stirring spoons? A few plastic cups and a cloth or two. The drawer is your young one’s oyster! Switch up the chemicals: Although you should store all cleaning detergents and other hazardous material out of reach, consider switching to safer, more natural products as well. Substitute the chlorine bleach for nonchlorine bleach or the window cleaner for an organic vinegar-based cleaner, beeswax and natural oils. Keep plants out of reach: Some kinds of plants are toxic if eaten, and since babies are always putting everything in their mouths, you should keep these kinds of plants out of your home or away from your little one. Baby-proofing the stove: When possible, only use the back burners, reducing the risk of your little one reaching and touching a hot plate. When using the stove, it’s important that you remember to turn the pot and pan handles towards the back, preventing it from being knocked or pulled down. When you aren’t cooking and aren’t using stove guards, it’s a good idea to remove the stove knobs altogether. It’s highly recommended, however, to use knob and plate guards. Install a fire extinguisher: You can be as safe as you can, but accidents still happen. Having a fire extinguisher is crucial for controlling small fires and keeping accidents from escalating or getting out of control. Planning the nursery is a very special and exciting experience of becoming a parent. It’s a safe space for you and your baby and the first space that will become their own. When planning your baby’s nursery, it’s important to know how to make your nursery baby-safe, removing any potential risks and safety hazards. Install a baby monitor: The nursery is where your baby will spend most of their time and also where they’ll sleep. At times your baby will be awake while you are catching up on some much-needed rest. A baby monitor will pick up on any noises or activity. Some of them include a camera in case you want to check-in to see if everything is still okay in there. Guard the windows: No, this is not the start of a modern day “Rapunzel”. But, it’s crucial to check if the windows in the nursery can easily open and shut. This step is especially important once your baby becomes an active toddler, ready to walk, explore and go on adventures. Place baby-proof guards in front of windows, preventing any accidents from occurring. When setting up your crib, it’s also important that you keep the crib away from the windows. Even if you have a window guard, cords from windows, blinds or curtains may get wrapped around your baby when they are within reach and can become a safety hazard. Setting up the crib: Although it’s a bit more admin from the parent’s side when needing to lift their babies, drop-side cribs are often a big safety hazard for babies and not recommended. Once your little one starts turning into a wriggler and crawler, you’re going to want to remove the mobiles above the crib. As soon as they can get on their hands and knees, it won’t take much effort to pull down the mobile, which could be a possible safety or choking hazard. The same principle goes for any heavy wall decorations that might be within reach for your baby to knock down. Carpets, and lots of them. Apart from the nursery, the living room is most probably where your family spends most of your time together. It’s where the family gets together, entertains guests and where your little one plays and crawls. That being said, it’s a good idea to consider carpeting on your living room floor. Fact: Little ones fall – a lot. Carpets will soften the blows from time to time while their tiny feet start learning how to walk. Choose the right furniture: Realistically, your living room can’t consist of only fluffy, soft cushions and bubble wrap. So, when choosing furniture, especially coffee tables, look for ones that are baby safe, or at least, as baby safe as coffee tables can be. Maybe don’t choose the glass one with sharp pointy edges. If you have some furniture that you absolutely can’t get over your heart to get rid of (but it seems a bit wobbly), consider using furniture anchors. Furniture anchors will keep your furniture pinned to the wall or floor and could make all the difference in the world. Check the door stops: Many door stops have caps that can easily come off. Make sure that all of them are screwed on properly. Once off, they can become a serious choking hazard for your baby. Putting things in their mouth is your baby’s way of discovering the taste and textures of the world around them, but can unfortunately also lead to serious accidents and injuries. Make sure the doors can’t shut: Doors are the culprits for many stitched-up fingers. According to research, the usual cause of amputations among two-year-old’s and younger are doors. (https://www.parents.com/toddlers-preschoolers/safety/toddlerproofing/home-safe-home-childproof-your-home-room-by-room/). So, be sure to check that doors can’t shut. You can do this with doorstops or even draping a cloth or towel over the top. Preventing doors from slamming during a game of chase, can save a lot of tears and trauma. Mount your television stands: Make sure your television is firm or mounted. If it happens to topple over and land on your young one, the situation will quickly change into a horrible one. Mounting your television will also provide you with peace of mind that you’ve eliminated the possible risk, instead of always thinking up worst-case-scenarios when your child goes near the tv stand or is in the living room. Make rules and stick to them: Children aren’t rogue vagabonds who climb and crawl as they please without there being any way to stop them. But, they are curious and adventurous and don’t always see the potential dangers or risks of what they might be doing. That’s where parents come in. Be sure to make rules as to what’s okay and what isn’t. For example, feet on the couch are okay, but walking on the backrest and seeing if they can land the jump to the coffee table – not quite. Establishing rules and sticking to them from a young age will vastly minimise the risks of getting hurt. But, just in case your little one decides to channel their inner gymnast, make sure your furniture doesn’t look like the tempting neighbourhood jungle gym. Educate fireplace safety: A fireplace is a lovely addition to any home, keeping it toasty and warm during those cold winter nights. However, with a fireplace comes rules and guidelines which may seem obvious but need to be repeated multiple times as soon as you become a parent. Make sure you store the matches out of reach and that you explain and teach your baby from a young age that the fireplace is NOT a playground and can be very very hot and dangerous. Remember that even if your fireplace has protective glass screens, they get very hot and should not be touched. Electrical outlets and cords: You are going to want to cover all the outlet points, so your baby can’t poke their tiny fingers in the intriguing hole in the wall. The same goes for those colourful cords that might be hanging from the television. Tuck all hanging cords behind the television stand, out of reach from curious little hands. For the first few years of your baby’s life, it is also best to say no to those handy extension cords. From tripping to chewing through them, they pose an unnecessary safety risk to your baby. Removing choking hazards: The hero of this story? The vacuum! Vacuuming picks up all the small things that you might not have spotted lying on the carpet. The thing is, if you don’t spot it, your crawling baby definitely will and as predictable as ever – put it in their mouths. The vacuum will pick up things like coins, earrings, batteries and other possible choking hazards. The toilet (or a nifty baby-size drinking bowl? ): For reasons unbeknown to us, toilets look like a fun time for pets and toddlers alike. So, toilet lid locks are a must. Although it may seem a bit annoying to those who know that the toilet is not a toy, it’s very important in keeping your young one out of the toilet bowl. Small children are uncoordinated and extremely top-heavy, so apart from possibly wanting to drink the toilet water, your baby can easily peek into the bowl, lose balance and topple over, headfirst. The harsh reality of this safety hazard is that it only takes as little as an inch of water to drown. Baby proofing the shower: Sometimes, being a mum is having to decide whether you have time to wash your hair or your body. There is no ‘’doing both.” So, in the seemingly never-ending world of multitasking and sleep deprivation, shower time may seem like the only (very) short break in your day. However, it’s very important that you are cautious and conscious of what you leave in the shower. Babies are used to bath toys and will grab for anything that seems interesting. Keeping your razor or pricey hair conditioning treatment in arm’s length is not ideal. Keep razors, scissors, nail clippers, and other sharp items in a locked cabinet or high up in a closet out of your baby’s reach. Always keep your eyes on your bathing baby: With this one, there is absolutely no exceptions and no excuses. No matter what, it’s crucial that you never leave your baby unattended while they’re bathing. Even if you feel like they will be okay for those two seconds while you grab their pj’s from the other room. It only takes those few seconds to lose control of a situation. Put everything you and your baby might need in the bathroom before bath time. Pyjamas, towels, everything. Rather spend a few minutes to collect the items beforehand, than not having it when you need it during bath time. Invest in Non-Slip mats: Non-slip mats are key in preventing many bathroom accidents, not only for your baby but mum and dad as well. A wet floor and a wet baby is a recipe for disaster, which is why you’re going to need one right outside the bathtub, as well as one inside the bath for some much-needed grip during soapy, shampoo filled bath time. Check the bath toys: Harmless right? Well, not quite. Kids love bath toys, and it’s a great way to get the nitty-gritty of bathing done while they are distracted by Mr Yellow Duck and his friends. However, because they are almost always wet, bath toys can easily grow mould. Kids being kids, it is almost always guaranteed that they will place said bath toys in their mouths at some point during (or the entire) bath time. Be sure to check every couple of days that they are still clean. Throw them away as soon as they start to grow mould. Plugged in items and water sources: Not only a baby hazard but the general rule for life. Keep any electrical or plugged in items far away from water sources. Place rubber guards on taps: Place a rubber guard over the tap spouts. This is a good precaution to take in case any slips and falls happen in the tub, protecting your baby’s head against bumps and accidents. Keep all cosmetics and medications secured: This includes your prescription drugs, make-up and even mouthwash (which contains more alcohol than some wines). It’s important to be extra-cautious with these. Even items that have safety caps and are “child-resistant.” Child resistant does not mean child-proof and should still be stored out of your little one’s reach. Safety expert, Debra Hotzman, author of The Safe Baby: A Do-It-Yourself Guide to Home Safety and Healthy Living, recommends that mums spend a few minutes crawling around every room of the house. It may seem silly at first, but this gives you the best perspective as to what you need to baby proof in your home. While investigating every room, ask yourself these questions: “Where can I pull on? Will it break when it hits the ground? What can I grab that I shouldn’t? Where can I fall? What can I open?” Once you can answer these questions, you’re able to recognise which items still need baby-proofing. Pool Safety: Children under five are the age group most at risk of drowning and swimming pools are known to account for a large proportion of drowning deaths. An average of 30 children under the age of five have drowned in Australia each year for the past ten years. (source: https://www.royallifesaving.com.au/__data/assets/pdf_file/0005/16448/RLSNSW_ChildDrowningReportLR.pdf). Make sure your baby doesn’t become a statistic. Gates, pool guards and education are absolutely crucial. Be sure to also strictly enforce the rule that your young ones may not go to the pool unsupervised. Have rules and be extra cautious. It’s also highly recommended for all parents to take a course in resuscitation. Fencing outside: If it is in your budget and affordable, it may be a good idea to consider fencing off your backyard. This provides a safe space for your baby to explore the outside world without having to worry that they could run off into the street when they start walking. Bringing a new baby into the world is an exciting and wonderful time. But at times, it can feel scary. No one knows exactly what they’re doing, and at some point, you will be in a situation where you’re honestly just going to have to wing it! However, we want to try and keep those stressful scenarios to a minimum. You can’t always keep your child on a tight leash or under a Hawkeye. They are active and curious and are going to want to explore this exciting new world they’ve found themselves in, and all we can do is to make sure we try to catch them when they fall. Leaving hospital to return home with a newborn baby can be frightening for parents, especially first timers. From the nerve wracking drive home – when you think every other motorist is a bad driver – to the absence of having your trained medical staff on hand. But there really is nothing better than being in your own home, eating your own food and sleeping in your own bed. Grandparents – Having your parents or in law’s visiting is extremely handy, especially in the first few weeks! From assisting with meals to ‘guarding the front door’ from an overwhelming number of visitors – they can provide immense support. My advice to new parents – especially those who may have friction with their mother or mother in law – is to write a list, and request their help in getting everyday tasks done. Chores such as vacuuming, running down to the Chemist or buying groceries can appear insurmountable when trying to get through a new routine. Visitor ‘etiquette’ – Well-meaning visitors will often pop in unannounced for a cup of tea and a chat, without realising how weary new parents are – especially mums, who may be experiencing pain, discomfort and mixed emotions in the first few days and weeks – from excitement and pride to fear about how they will cope. Sending a quick text to family and friends, or getting the grandparents to gently let your network know that you appreciate all their love and support but aren’t up for visitors for the first few weeks is reasonable. Remember, a lot of the people you know have been through this before and can empathise and relate. Are you immunised? It is all about immunisation now! Today’s mums are savvier about this, and brave enough to say that they don’t want visitors in the first 6 weeks who haven’t been immunised for whooping cough. This is a great shift in parenting, and thanks largely to a strong public health message, which I strongly applaud. For those people who aren’t immunised, why not suggest a catch-up via Facetime or Skype and celebrate your baby news that way. Unsolicited advice – I’m an expert in babies and parenting, however I always wait for people to contact me if they want advice – I never give it, not even to family. Yet many people have one baby and consider themselves to be an ‘expert’. Right from the start, new parents will receive advice. In hospital, you receive mixed messages from different nurses on how to breastfeed, and when returning home, mothers, mother in laws, girlfriends and closed social media groups will all offer different views on parenting. This can be extremely overwhelming! I always say to new mums that you have got to learn to trust your instincts and know yourself. Listen to your obstetrician and midwife! Whilst every new parent will have a different experience, each will cherish the love and support they receive from friends and family. And remember, don’t forget to ask for help, especially in those early days! Another important thing you have to remember is to baby-proof your home! You can find out more about this here. Is being a millennial mum really all about social media and sharing of baby pics? Or is this just a small piece in the puzzle of being a parent in the digital age? In reality, there are loads of benefits to approaching motherhood from a millennial perspective. It’s okay to approach parenting a little differently to your predecessors and embrace a new positive style of parenting that is adaptive to the changing world that your little one will grow up in. BabyLove has sat down with Clinical Psychologist Leanne Hall to look at the upsides to some of the most commonly talked about rumours. Share these with your family and friends if they ever come up! This creates broad online support networks where other mums can seek advice and reassurance. The world is changing and millennial mums are preparing their children for a fast-paced world. The need to focus on one thing for long periods of time is a cognitive function that we might not even need in a few years! Instead, children will need to know how to adapt to change…. fast. This is also why millennial mums try and save time with everyday tasks. 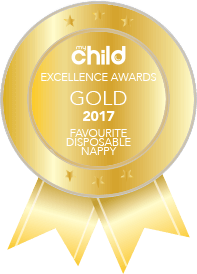 Nappy change is no exception – they look for no fuss super easy ways to save time such as Babylove Nappy Pants. The children of millennial mums are generally more focussed on appearance – and that is okay! The key is to balance this out – focus on strengths and attributes you can’t see such as kindness. Overall, however, these mums are helping their children develop healthy self-esteems through embracing how they look and who they are! Children of millennial mums are tech savvy, probably more so than their mums. They need to be, because technology is moving so fast! We all know that social media is the highlight reel of our lives. So, accept it. Better still embrace it, just like millennial mums. Often these mums will do fun things with their children, so they can post online. They may also have been inspired to connect with their kids or do something fun because of something they have seen online. This is a good thing! Don’t let negative judgements influence your approach – it’s okay to make mistakes and it’s all a part of motherhood. However, do let others guide and support you when you need it – you might learn something new! Find out more about motherhood and anxiety here! What parents need to do with their child to develop good motor skills. Toddlers are certainly curious. As soon as they become mobile, life is all about exploring. It can be an exhausting time for mums, however it’s a critical time in their child’s development. As toddlers explore they learn. Whether it’s learning about the environment, or about what they can now do. Life is about acting and reacting – experimenting with the senses and learning to manipulate surroundings. So what can parents do to help develop their child’s motor skills? Here are my top 5 tips. Encourage/support independence. This is the “I can do it” stage – even changing a nappy can be a battle for mums/parents. This is where Nappy Pants come in – delivering a quicker nappy change for mum whilst empowering infants to stand and pull up their own nappy – which more closely resembles underwear with its stretchy waistband. By allowing your child the opportunity to do things themselves they will develop confidence. This teaches them what their bodies can do, and sometimes more importantly, what they can’t do just yet! Encourage active play. Jumping, running, throwing, kicking and catching. Activities that develop strength and agility, help build your toddlers confidence in their growing body. Kick a ball with your toddler and take them to the park, or bring out a skipping rope or scooter. You might have more fun than your toddler! Activities to support fine motor skills. Puzzles, drawing and colouring in teach toddlers to coordinate smaller movements of the hands and eyes. This can be good “quiet play” in the hours before bed time, or early morning (if your toddler is an early riser). Allow your child to feed themselves (where possible). Yes this can be messy, but exploring the taste and textures of different foods is exciting and fun, not to mention important in supporting independence. Of course it’s also a way of developing motor skills and co-ordination. Let them try and dress themselves. I did say “try”. Learning how to initially pull up their nappy pants and progressing to do up buttons, tie up shoelaces and even tuck in shirts – these are all important ways to develop those fine motor skills, and again – promote independence and a healthy self-esteem (even if their clothing choice seems a little un-coordinated!). An important job as a parent is to encourage and support independence while at the same time supporting the development of a healthy self-esteem. Toddlers are always on the go because there is so much to learn, and sometimes the challenge for mums is simply to keep up! But most importantly, treasure the time with your toddler. “We know that today’s mum is fulfilling multiple roles and often multi-tasking as she goes – including juggling a speedy nappy change whilst trying to keep a wriggly baby or curious toddler still,” said BabyLove’s Jessica Trinh. The nappy brand’s solution for fast paced mums is BabyLove Nappy Pants, enabling a faster nappy change for little ones, thanks to their stretchy waistband which allows mums to pull up pants quickly and easily whilst bub is wriggling or attempting a fast exit. There are no tabs to struggle with, and instant absorption for comfort. Higher levels of anxiety as they juggle multiple roles and idealistic expectations. Leanne Hall warns that the modern expectations of the ‘perfect’ life – as often shared through the social media lens – can be an issue for young mums who feel pressure to live up to perfect images of parenthood, or experience competitiveness, anxiety and even guilt. “Today’s parents face the added pressures and expectations of social media, and living up to society’s idealised expectations of motherhood, but the reality is that perfection doesn’t exist and sometimes nothing goes to plan,” said Leanne Hall. Identify your priorities. Focus on what’s most important and resist the temptation to get drawn into trying to do “everything”. Be flexible. Having a plan for the day is fine – but any mum will tell you that curve balls can be thrown at any time. It’s important to learn how to adapt to the unknown. Learn how to say NO. Not just to your child, but to everyone else who wants your time. Setting healthy boundaries is important – even if it means saying “no” to a close friend or even your boss! Challenge perfectionism. Guess what? Perfection does not exist. Learn to be OK with being enough, by always remembering that YOU ARE ENOUGH (just the way you are). Take time out. Stop. Pause. This isn’t being selfish, it’s about self-care. You cannot nurture others from an empty cup. Learn to fill yours by taking time to be mindful, meditate or simply sit with a cup of tea and your favourite book. “Watching a child grow is an important and joyful time for any parent and BabyLove strives to continuously develop outstanding baby products that help parents and their baby on this exciting journey,” says Jessica Trinh. BabyLove’s newly enhanced Nappy Pants feature highly absorbent DriWaveTM technology, which absorbs moisture instantly and draws liquid away from the nappy surface. The ultra-soft soft, wavy surface layer minimises skin contact and reduces the risk of skin irritations. The 360-degree soft and stretchy waistband provides not only a quick change for mum, but delivers a greater level of comfort and flexibility for youngsters to get on with exploring the world. The nappy pants can be pulled up whilst a toddler is standing, and include easy-to-tear side seams so mum can remove easily.